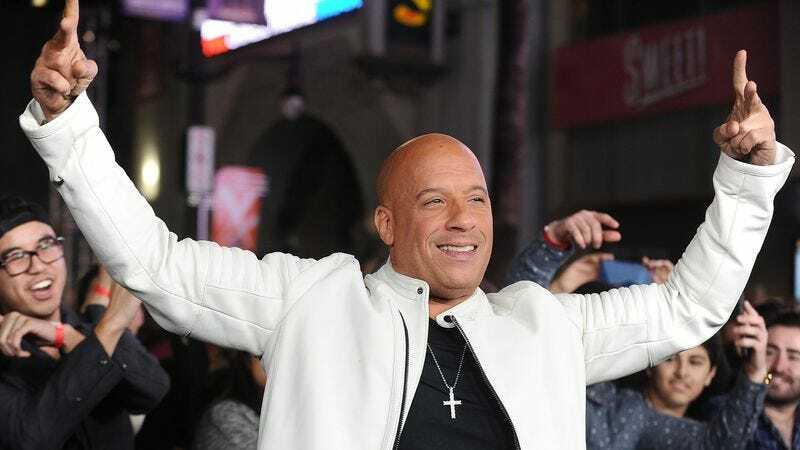 Understanding that Marvel is not a company prone to sitting on potentially lucrative properties—unless they happen to have a woman at the center—Vin Diesel said in a new interview that a Groot spin-off movie is fated to happen. “It’s something that James Gunn has talked about and something that I know that he would love to do,” he told MTV UK. “Sure, I think it could be very interesting. I think it’s inevitable.” Diesel even has some ideas about how it could work: He’d “love” to go to the tree dude’s home, Planet X. Given Groot’s limited vocabulary, we see how this could act as a sort of spiritual sequel to Wall-E. The character will next appear in Guardians Of The Galaxy Vol. 2, which is due out in May, in adorable baby form.